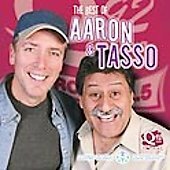 I Used To Have A Radio Show: Aaron Rand Leaving "The Q"
Aaron Rand Leaving "The Q"
Montreal radio circles are abuzz with the news that Aaron Rand will be leaving “The Q” in April. He’s been working for the same company for 26 years, under several different call letter variations and ownership groups. It is a truly remarkable feat in any market anymore. Most of Aaron Rand’s time has been spent as the morning man at what was once known to all as CFQR. And up until 2009, he was joined by his long-time friend Paul Zakaib, also known as Tasso Patsikakis. You don’t last that long in any market unless you are really, really talented. Aaron Rand really is in a league of his own, especially now that greats like George Balkan, Gord Sinclair and Ted Blackman have passed away. There is no doubt that radio was far different when the preceding were in the prime of their careers. Rand sort of acknowledged the change during his departure announcement on Friday. No news as to whether he has plans to jump to another station or leave town. He did say he wasn’t ready to retire just yet. Hopefully that means we haven’t hear the last of him. If you are too young to remember the mid 1980s, then you missed out on what was without a doubt the best radio show “anglo” Montreal has ever produced. The Aaron Rand Show on CFCF 600 was appointment radio. When you think about how much work it takes to produce a quality program, you just have to marvel at how much effort it must have taken to put that kind of show together 5 days a week. I first discovered the Aaron Rand Show in November of 1985. It was like nothing I had ever heard before or since. The “Ask my Dad” segments were pure gold. The way they would go to the lines at any time and talk to the quirkiest callers was classic. You could tell how much fun these guys were having and the amazing chemistry that existed between Rand and “Tasso”. I could go on, but I urge any fans of classic Montreal radio to get a hold of some old recordings of that show - you won’t be sorry. I am in shock. I just came back from vacations and when I heard the radio this morning I thought that he was on vacation, but when my friend at work told me what happenned I was so mad, as soon as I go home I changed channel on my radio.